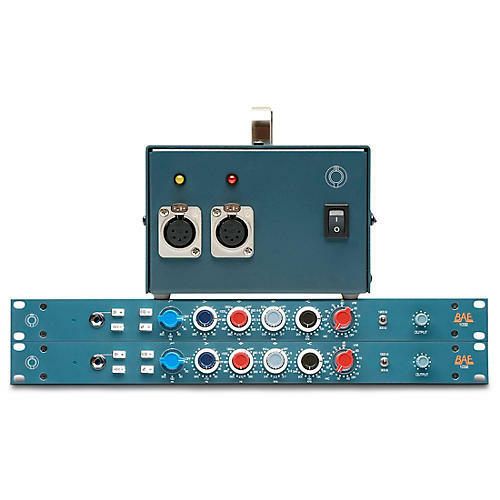 The 1032 4-band Mic/Line preamp by BAE was inspired by the frequencies of the classic 1081. It uses the same high quality components and manufacturing techniques used in other BAE modules featuring the same Class A transformer-coupled circuits and same modular cards for long-term serviceability. +/-16dB selectable frequency shelving at 10, 12 or 16 kHz. 18dB per octave slope, switchable between 50Hz, 80Hz & 300Hz, inductor based.